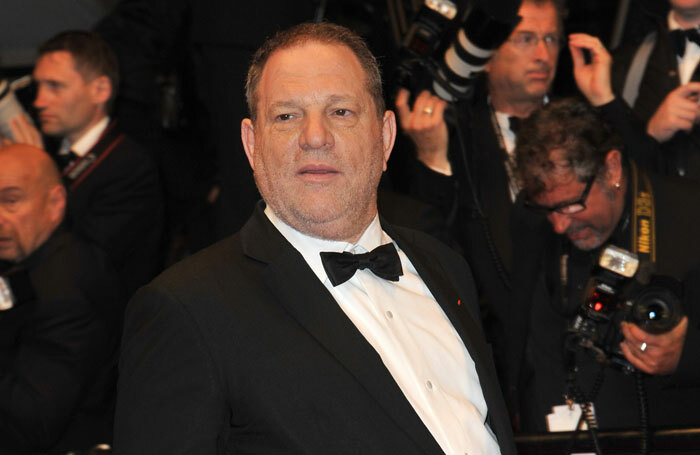 The Harvey Weinstein allegations should have shocked us all. The appalling truth is that for many women and many men in British theatre, these revelations of repeated, nonchalant and disgusting abuse are not even surprising. I am writing this now, not because of any specific allegation, but because it is time our industry thinks deeply and speaks openly about changing our culture. I’ve been an artistic director or deputy artistic director for 19 years. The thing that puts the coldest shiver down my spine is not the perilous heights at which we sometimes work, or the serious risk to our mental health of caring so much about the work we make, it is the thought that sexual harassment, sexual bullying or sexual assault could have happened on my watch. I believe, hand-on-heart, that I have created environments in which people feel safe – safe to do their best work, safe to test an idea, however contentious or new, and safe to say what is wrong, what has hurt them, troubled them, what they would like to see fixed. However, I also know that our exceptionally competitive industry – and this it shares with the excesses of Hollywood – fosters a keen impression that ‘troublemakers’ will be punished, that those who speak out are most likely to be the ones that don’t work again, and those who perpetrate abuses of power, sexual or otherwise, will be rewarded with continued success, high office and most importantly financial security. I am confident that, in the course of my time in the theatre, persistent sexual bullies have gone unpunished and unstopped. It is a complex responsibility to know second or third-hand that this behaviour persists but that victims, for all manner of reasons, don’t want to come forward. But it is a responsibility that I willingly shoulder and I expect all of us with influence, and especially those of us who hold institutions in our hands, to find new and more transparent ways to hear and believe reports, support victims and to make this stop. At the Royal Shakespeare Company in recent years we have introduced a ‘Respect’ policy, designed to spell out how seriously we take any inappropriate behaviour and to offer clear signposts so that everyone working for us knows how to challenge, report in confidence, trigger formal disciplinary action or simply how to find a listener. We will also be looking again at ways to make our sexual harassment policies more transparent and more effective. Are policies and procedures enough? Absolutely not. But they could be if we all had genuine confidence that all of British theatre had the courage to look disgraceful behaviour in the eye, punish the perpetrators, expel them from our ranks if necessary, and assure the victims that their working lives can resume unhindered. I personally have encountered and challenged all manner of casual sexism at all stages of my career, but I have not been sexually harassed myself, and it feels important to say that, because a) it is possible to work in this industry, to have opportunities like mine and not to suffer the kind of appalling treatment we hear about so often, and b) I don’t have the right to question whether a victim should or could come forward. I have a responsibility, though, to make our theatre a place where none of us needs to think twice before calling out and addressing behaviour that we all already know is unacceptable.